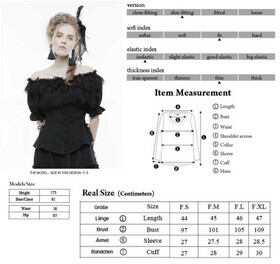 Romantic short sleeve blouse top by Punk Rave sub branch Pyon Pyon. Light viscose mix. 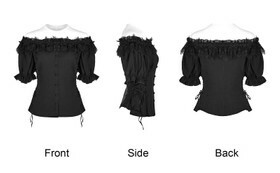 Off the shoulder / carmen style with elaborate lace ruffles, button-front. 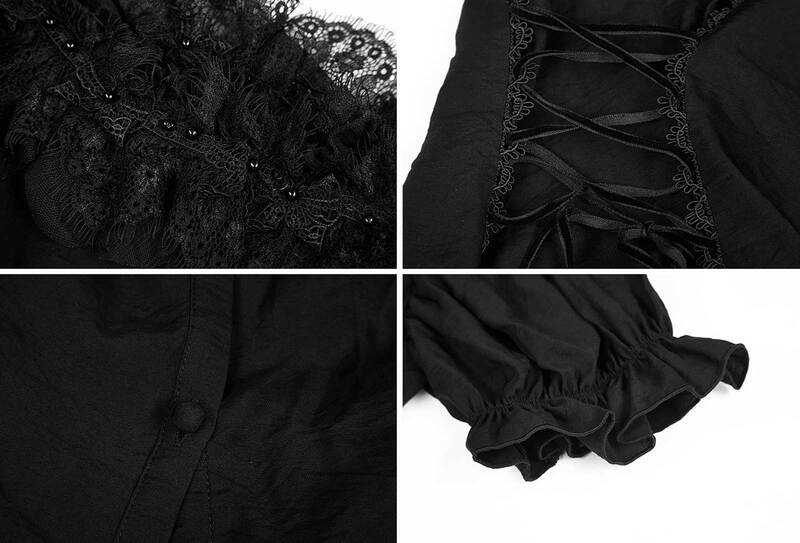 Romantic short sleeve blouse top by Punk Rave sub branch Pyon Pyon. Light viscose mix. Off the shoulder / carmen style with elaborate lace ruffles, button-front. Short sleeves with elastic. Side lacings to adjust the waist fit.